Soon after being installed as FIABCI World President on 2 May 2018 in Dubai, President Assen Makedonov began visiting FIABCI chapters and related industry events to spread news of FIABCI’s work in the global marketplace and the benefits of affiliation. 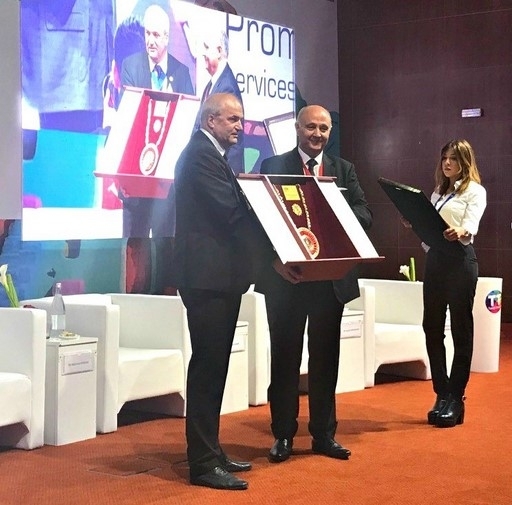 In his first official visit as World President, President Makedonov traveled to Tunisia, where he participated in the 4th National Day of Real Estate — an event dedicated to the promotion of the property sector, organized by the Chambre Syndicale Nationale des Promoteurs Immobiliers (National Chamber of Property Promoters). The President’s participation was at the request of FIABCI member Mr. Fahmi Chaabane, President of the Tunis Chamber. Addressing the guests, which included an official from the Tunisian government and Mr. Samir Majoul, President of Tunisian Union of Industry, Trade and Handicrafts, President Makedonov spoke about the commonalities between FIABCI and the Chamber — highlighting FIABCI’s mission and opportunities for global business development. 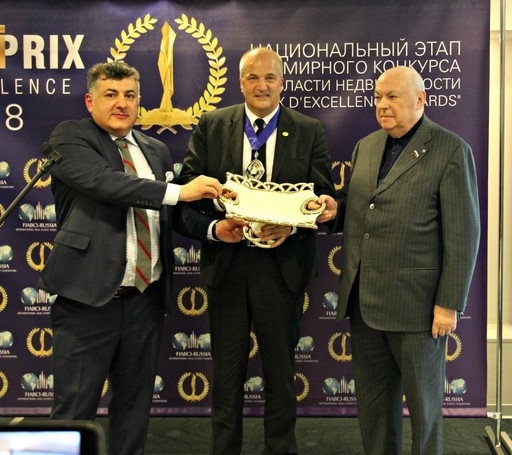 Following the event, President Makedonov received an award in recognition for the cooperation between the two organizations. During his time in Tunisia, the President traveled to two states within the country where he met with the respective governors and visited local cultural attractions. He also visited a residential property site. Back in his home city of Sofia, Bulgaria, the President was welcomed at a congratulatory reception at the Central Military Club on 17 May in honor of his inauguration as World President. He was greeted by representatives of many of Bulgaria’s governmental and non-governmental organizations. 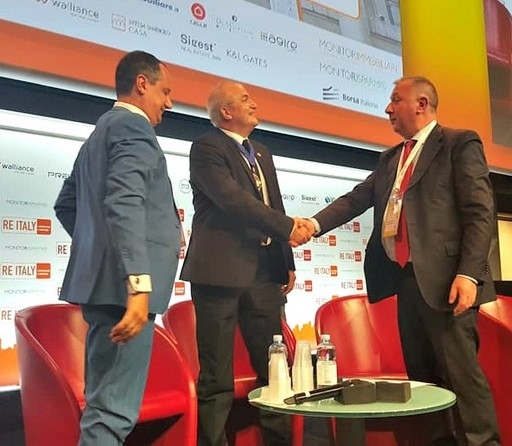 Boyko Boykov, Chairman of FIABCI-Bulgaria and President of the FIABCI World Council of Developers and Investors, presented President Makedonov to the guests. In late May, President Makedonov made plans to travel to Moscow for the International Real Estate Business Forum of (IREBF). FIABCI-Russia President Mikhail Grin is the Chairman of the IREBF organizing committee. The event brings together more than 800 professionals engaged in management, design, financing, building and selling property around the world. Technology is a core, common theme across these sectors. President Makedonov planned to speak on the role and impact of blockchain technologies in real estate. A last-minute conflict prevented him from arriving for the opening session; FIABCI World Vice-President Walid Moussa give the blockchain presentation on his behalf and brought greetings from FIABCI International to the IREBF attendees. Also attending the plenary session from FIABCI were Ramon Riera Torroba, President of the FIABCI Europe Committee President of FIABCI-España; and Antonio Campagnoli, President of FIABCI-Italia. 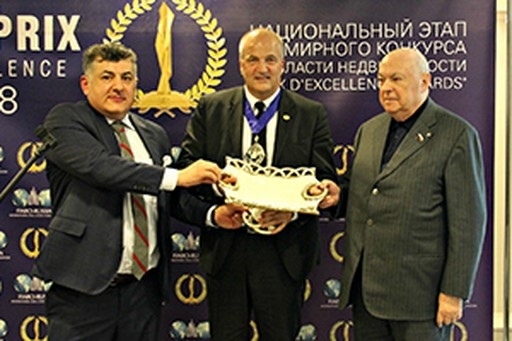 President Makedonov arrived in time to recognize the winners of the FIABCI Prix d'Excellence Russia. 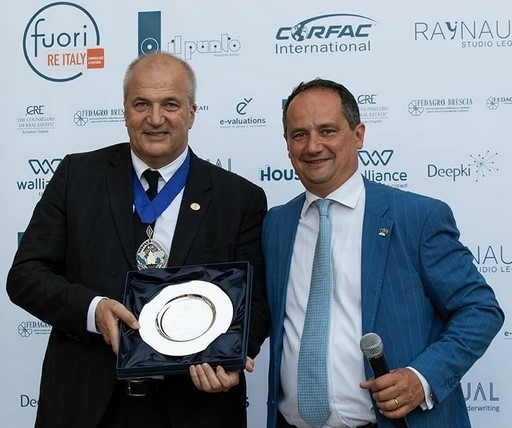 He noted his hopes that the evening’s winners will go on to compete at the International Prix d'Excellence Awards next May during FIABCI’s 70th World Congress in Moscow. He encouraged all guests to attend the 2019 Congress to broaden their business opportunities and take advantage of the Congress being held in Russia, where they could introduce the Russian market to real estate property specialists from around the globe. The Milan Stock Exchange was the site of the 7th edition of RE Italy, held 5-6 June 2018. This invitation-only industry event brings together high-level representatives of all segments of the Italian property sector for two days of programs on a wide range of topics. Facilitated by FIABCI-Italia President Antonio Campagnoli, President Makedonov participated in an opening session panel comprised of an esteemed group of leaders representing non-profit industry organizations in Italy. The focus of the panel was the presentation of the market to the newly formed government. In his remarks, the President addressed the role of FIABCI as a bridge to an international network and the value of global alliances for a national property sector. At the end of his remarks, FIABCI signed an agreement with RE Italy; its purpose being to increase the international visibility of RE Italy, through FIABCI-Italia, and to expand the opportunities available to FIABCI members to engage in discussions and information sharing about the business environment. To mark the occasion, President Makedonov presented a token of appreciation to Maurizio Cannone, editor-in-chief of Monitorimmobiliare, the media sponsor of RE Italy. He noted the value accurate and independent market news and analysis brings to the sector by raising the knowledge of stakeholders and in increasing consumer confidence. Later that day, President Makedonov addressed the FIABCI-Italia General Assembly, providing members an update on FIABCI activities and plans for coming year. He used the opportunity to promote the value of corporate direct membership to several important agencies attending the meeting. Upcoming summer visits include France, Andorra, Spain, and the USA.